Safe. Hygienic. 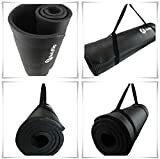 Ideal for: Pilates, Yoga, Core Fitness Exercises, General Exercises, Workouts, Meditation.